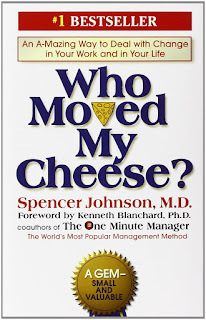 Title: Who Moved My Cheese? 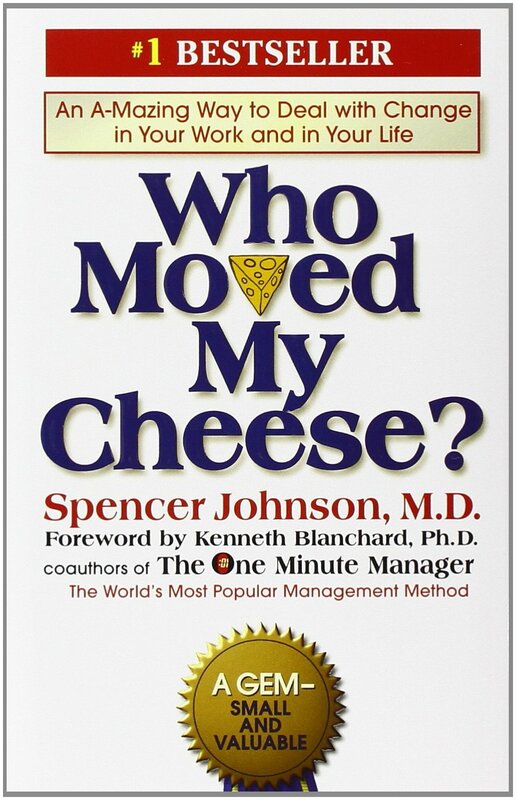 Summary (from the back of the book): Who Moved My Cheese? is a parable that reveals profound truths. It isa na amusing and enlightening story of four characters who live in a "maze" and look for "Cheese" to nourish them and make them happy. Two are mice named Sniff and Scurry. And two are "Littlepeople"--beings the size of mice who look and act a lot like people. Their names are Hem and Haw. "Cheese" is a metaphor for what you wan to have in life-whether it is a good job, a loving relationship, money, a possession, health, or spiritual peace of mind. And the "Maze" is where you look for what you want--the organization you work in, or the family or community you live in. In the story, the characters are faced with unexpected change. Eventually, one of the deals with it successfully, and writes what he has learned from his experience on the Maze walls. When you come to "The Hand-writing on the Wall," you can discover for yourself how to deal with change, so that you can enjoy less stress and more success (however you define it) in your work and in your life. 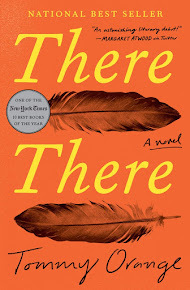 Review: This book is very different from the books I usually read. I'd put it in the self-help genre. I never reach for this type of book, but I have a new job and about a week ago my new colleagues and I were discussing what it's like to be the people in our school district who direct change for teachers. I know that I will come up against resistance and I was saying that I am not looking forward to that. Two co-worker simultaneously said, "who moved my cheese?" What?! I had no idea what they were talking about so they explained about this book. One had read it and the other owned it, but hadn't gotten around to reading it yet. So today I checked the book out from our public library, came home and read it. It is a very quick read at only 94 pages of big font and simple writing. It is not a subtle message. The mice are Sniff (who sniffs out change and goes after it willingly) and Scurry (who chases after the change quickly to check it out), while the Littlepeople are Haw (who takes a really long time to see the change, but eventually will venture out and be happy) and Haw (who doesn't see the change coming and resists it to the bitter end, sometimes with uncertainty and anger). I am sometimes Sniff and usually Scurry in my work. I alter my job about every five years, I want the cutting edge technology, and I want to try new techniques and new programs. And I get really frustrated by the Hems and Haws. I admit it. I know that isn't nice of me and it isn't understanding of me, but it is who I am. And it really explains a lot about a situation at work last year. I was being Sniff and thought everyone should come along with me. Some did, but not enough for my liking. Frustration all around.